My Newest Scary Mommy Spot – Halloween Edition! 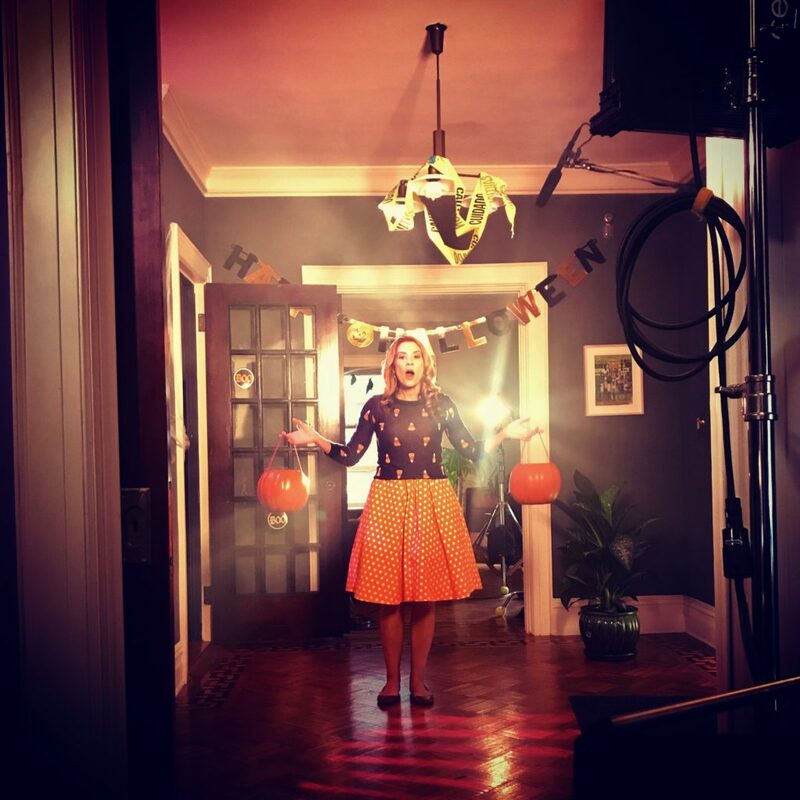 I am so pleased to share my third spot for Scary Mommy & Welch’s Fruit Snacks! I loved reuniting with my scary kids from our last video as well as Director Nick Fabiano and his fantastic crew! Check it out and have a giggle! Another BEST SHORT FILM Nomination for “As It Seems”! 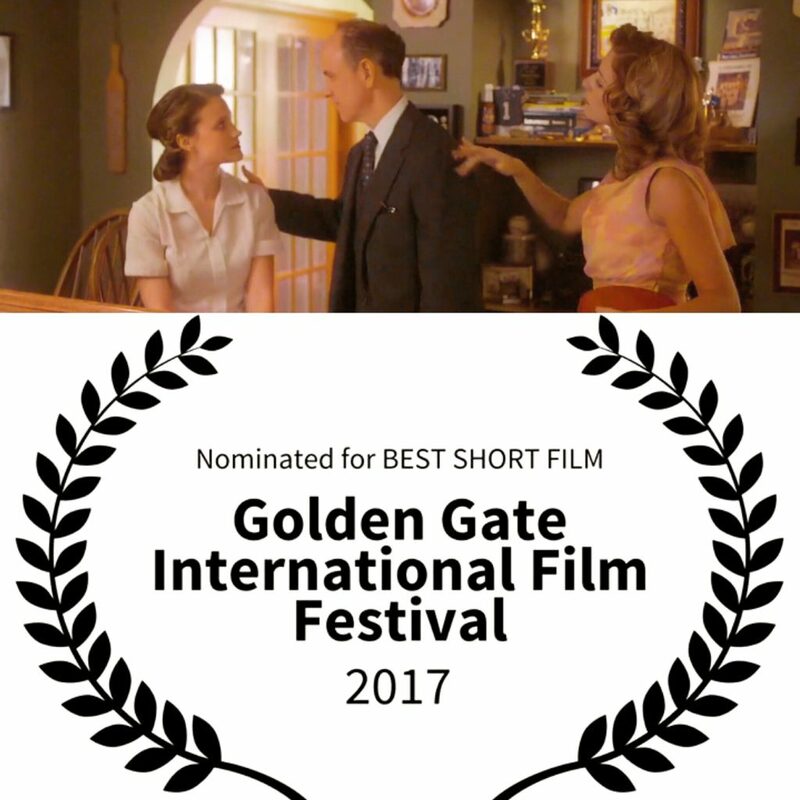 I am thrilled that “As It Seems” will have its west coast premiere in just a few weeks at the Golden Gate International Film Festival – and I am truly honored that we are nominated for BEST SHORT FILM!!! The festival will take place in Cupertino, CA on October 28th & 29th. We will be posting our screening information soon so please stay tuned… In the meantime, visit www.goldengateinternationalfilmfestival.com for more information about the festival and tickets! TWO Films at Golden Door Film Festival!!! TWO Films screening at the Golden Door Film Festival! I am so excited to have TWO beautiful films screening this Saturday at the Golden Door Film Festival! This will be such a fun afternoon of independent film! I’m so proud of both of these projects and lucked out with these screenings being scheduled back to back! Please come by, say hi and support the arts! Third Time’s a Charm with Scary Mommy! On Set for a Halloween Scary Mommy shoot! I had a blast working with Nick Fabiano and the Scary Mommy team again! This was my third Scary Mommy shoot – and this was a special Halloween edition spot! I reunited with my Scary kids from our last shoot, and loved solidifying that “family” with another hilarious piece! This is sure to be another viral video – our last had over 3.7 Million views! Best Supporting Actress Nomination for “The Last Visit”! 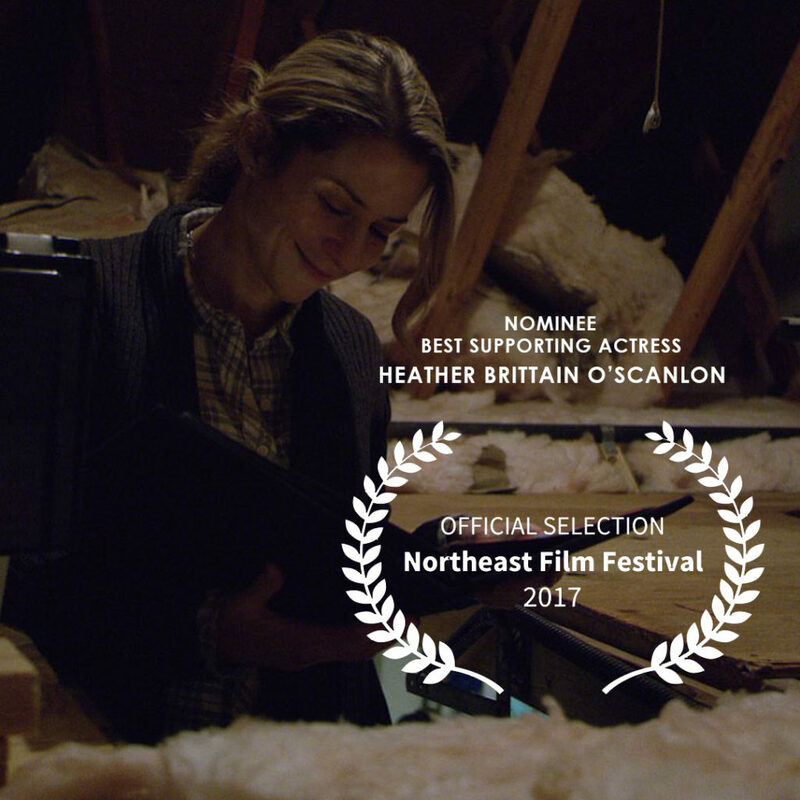 THANK YOU Northeast Film Festival for nominating me for Best Supporting Actress in a Short Film for Manmade Productions “The Last Visit“! Congratulations also to our leading man Dan Berkey on his nomination for Best Actor in a short film! “The Last Visit” will screen during the 12:00 pm block at the Northeast Film Festival at Teaneck Cinemas on September 10th! My Newest Scary Mommy Video! It’s that time of year again… the leaves are just starting to turn, the kids are milking what’s left of the summer, the parents are seeing the light at the end of the tunnel… and my newest video for Scary Mommy is up! Branded content for Welch’s Fruit Snacks – I’m thankful I was able to work with director Nick Fabiano and the Some Spider team once more! Co-starring the talented and adorable Dane West & Yana Samarska! “At The End Of The Cul-de-Sac” at HollyShorts! 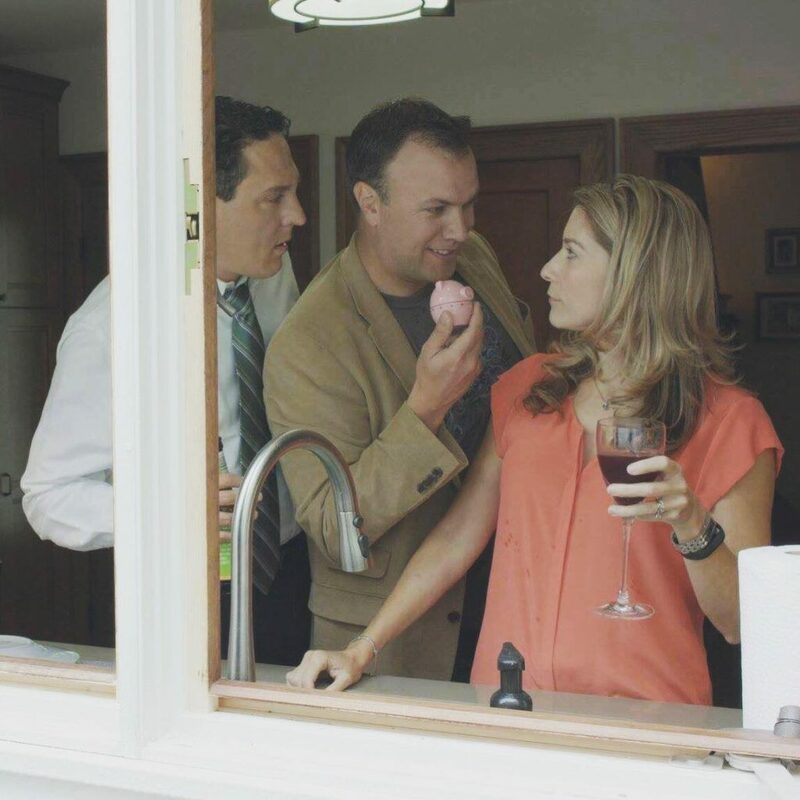 TONIGHT – “At The End Of The Cul-de-Sac” screens at HollyShorts! 10 PM at TCL Chines Theaters!!! Directed by Paul Trillo, this twisted little film is not to be missed! In one continuous shot, a man (Gabe Fazio) has a public meltdown in the middle of a residential cul-de-sac. A marvel of drone cinematography, carefully choreographed action and an awesome ensemble cast! This Vimeo Staff Pick premiered at Palm Springs International Shortfest, has been written up in several industry publications, and it was featured in TIME Magazine… and it’s just getting started! If you miss this screening in Los Angeles, you can watch it online HERE. “The Last Visit” premiere – and upcoming screenings! 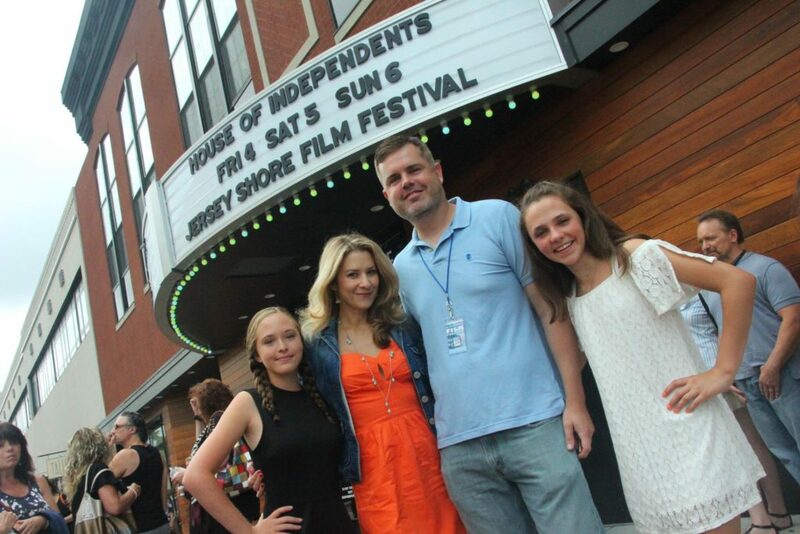 “The Last Visit”, starring Alexis Lariviere and Dan Berkey and directed by Mark Clauburg premiered at the Jersey Shore Film Festival! We had a packed house for our screening AND I was able to reunite with my “Benny’s Recital” co-star Ashley Licata, who plays my daughter in “The Last Visit”. This sweet film will screen next in September at the Northeast Film Festival and in October at the Golden Door Film Festival! Best Supporting Actress Nomination in “The Waiting Room”! Well this was a very nice surprise! 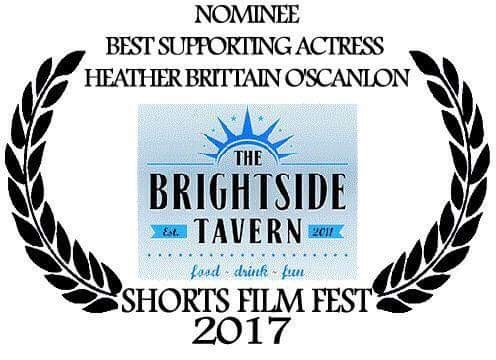 I’m nominated for Best Supporting Actress in “The Waiting Room” at The Brightside Tavern Sorts Fest Film Series! And this lovely film is up for four more awards: Best Actress for Jennifer Jiles, Best Supporting Actor for Justin L. Wilson, Best Director for Debra Markowitz and Best Ensemble for us all! (Rounding out our cast are Ciarán Sheehan and Noelle Yatauro!). We’re in great company nominated with some seriously talented filmmaker friends – I look forward to seeing everyone there! That’s a wrap on “Therapy, Bro”! I had such a belly-laughing-good time shooting this hilarious film with Open Iris Entertainment! Co-written by and starring Wally Marzano-Lesnevich and Francesco Nuzzi (plus we also have the crazy-talented Garry Pastore! ), “Therapy, Bro” will have you in stitches! Thank you to Francesco, Wally, and our director John Hedlund for inviting me to play! Now in post-production… stay tuned for more information in the coming months!